When fraud is not involved, faith healing is a cooperative form of magical thinking involving a healer and a patient in which (a) both healer and patient believe in the healing power of spirits or other mysterious healing mechanisms; (b) the healer consciously or unconsciously manipulates the patient into believing he or she has cured the patient's ailment by prayer, hand movements (to unblock, remove, restore, etc. some intangible "energy"), or by some other unconventional ritual or product; and (c) the patient validates the healing by giving signs that the healing has worked, such as walking without a brace for a short period, breathing freely, feeling relief from pain, or simply thanking the healer for the "miraculous cure." Furthermore, faith healing can occur at a distance. There is no need for the patient and healer to meet, as the processes that occur are said to transcend the usual limitations of space and time. The faith healer needs no objective signs of illness (such as medical exams) or objective signs of cure (such as medical exams). However, if they are available and support the cause, all the better. For example, CT scans or X-rays that show a tumor has shrunk are welcome even if the "dark mass" in the original scan "was merely an imperfection of the scanning process" (Randi 1989: 291-292). Many alleged cures by faith healing have involved fraud, as with Marjoe Gortner and Peter Popoff (Randi 1989: 139-181). Popoff pretended to get messages from a god when he was really getting messages from his wife via an earpiece (Randi 1989; "Secrets of the Psychics"). Mrs. Popoff got her information from cards that the believers fill out when they attend the faith-healing exhibition. 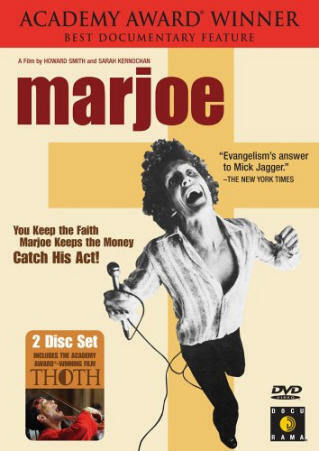 Marjoe was raised by his evangelist parents to be a con man. He began plying his trade at the age of three and continued duping the desperate for more than two decades until he confessed all in a documentary film. Some alleged cures have involved mistaken diagnoses that required no cure at all, much less a miraculous one. Some may have involved the post hoc fallacy: a healing, for whatever reason, is credited to the faith healer when the only evidence provided is that the healing took place after the session with the healer. Most cases of faith healing need no cure, since most patients will get better even if they receive no treatment at all (Hines 2003). Some serious ailments like cancer and multiple sclerosis abate for months or years for reasons we don't understand (Nickell 1993: 134). There is an "impressive variety of ... ailments, ranging from back pains to hysterical blindness, [that] are known to be highly responsive to the power of suggestion." The "main requisite for curative effects" is "the patient's belief in the practitioner's assurances." And, having a positive attitude seems to enhance the body's healing capacities (Nickell 1993: 134). The majority of faith healings are successful because of the cooperation of healer and patient. Working together, believing in the treatment, strongly desiring the treatment to work, not only can relieve stress and bring about the curative effects of the power of suggestion, it can lead the patient to give testimony that is exaggerated or even false in the desire to get well and to please the healer. The power of subjective validation is enormous and essential to many, if not most, faith healings. The faith healer can't lose. Any treatment he or she gives is likely to get a high approval rating. Most patients will validate their treatments. There will be no follow-up, so there will be few bothersome failures. The healer is likely to be showered with proclamations of gratitude. It is no wonder, then, that the healer comes to believe that his or her method, whether it be invoking a god or the life force or some other mysterious entity, truly works. Even obvious failures can be blamed on the patient for not having enough faith in a god or the healing method or for not cooperating fully. Also, many patients are afraid to admit they're not better because that would imply that they lack faith or didn't participate properly. They blame themselves if the treatment doesn't work. Emil Freireich, M.D. goes further. 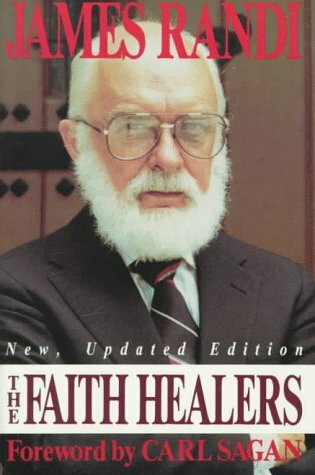 He says, as long as a treatment is harmless to either a sick or well person, it "will always prove to be effective for virtually every patient with any serious disease" (emphasis added; quoted in Randi 1989: 9). The patient wants to be healed, wants the healer to succeed, and can be deceived into thinking she's been cured when what she is experiencing is a temporary relief due to the release of endorphins. One cancer patient at a Kathryn Kuhlman faith-healing performance threw off her back brace and claimed her cancer was cured, but then died two months later after X-rays showed that a "cancer-weakened vertebra had collapsed due to the strain placed on it during the demonstration" (Nickell 1998: 135). A child who was given a year to live by doctors was given a trip to Lourdes where he and his family became convinced he had been cured by the miraculous waters there, but he died a year later of his leukemia, as predicted by his doctors (Nickell 1998: 151). a tradition of miraculous cures brought about by the touch of prominent individuals, contact with a sacred relic, amulet, or place, anointing with sanctified oil or water...As with all magic, this is an attempt by man to control nature by means of spells, incantations, or rituals. Its effectiveness has been a matter of discussion for centuries; only now is the power of suggestion beginning to be understood. are beginning to understand the complex interaction of the brain and the endocrine system that gives rise to the placebo effect. when they experience discomfort or when they believe that something about their body is not right. That is, they suffer pain and fear. The response of the brain to pain and fear, however, is not to mobilize the body's healing mechanisms but to prepare it to meet some external threat. It's an evolutionary adaptation that assigns the highest priority to preventing additional injury. Stress hormones released into the bloodstream increase respiration, blood pressure, and heart rate. These changes may actually impede recovery. The brain is preparing the body for action; recovery must wait. The calm and confident demeanor of the healer relieves stress. Having faith in the method of healing relieves stress. Praying with groups of people relieves stress. Relieving stress is half the battle with many illnesses. Since most people recover from most illnesses, the trip to the healer reinforces the patient's faith in the healer and the healing method. Of course, there will be a percentage of cases that won't heal on their own. Failure to get proper medical treatment may be fatal in some cases and some cases can't be helped by even the best medical treatment available. Any failures are easily explained away as due to a variety of things not including the ineffectiveness of the healer or the healing method. Some people find solace in bizarre forms of faith healing, such as psychic surgery offered by such characters as Dr. Fritz. Or they become followers of such charlatans as John of god, Pat Robertson, Oral Roberts, Benny Hinn, or Robert Tilton. Many people believe these characters are divine agents. They have faith and they are not too demanding when it comes to evidence for healing. They don't do follow-ups and they are willing to take things as they appear to be or as the healers tell them to take it. Believers are fond of Loyola's statement of faith: For those who believe, no proof is necessary. For those who disbelieve, no amount of proof is sufficient. Others seek "alternative" treatments like acupuncture or homeopathy, or they seek New Age faith healers who deal in "energies," because these healers don't involve hospitals, surgery, or powerful pharmaceuticals. They are aware of the potential deadly consequences of some science-based medicine and seek alternatives because they think they are safer. Rather than being cured in the hospital, one might be harmed by malpractice or the unforeseen consequences of an infection or the side-effects of a drug. Some people would rather risk everything on a swell-sounding bit of hopeful gibberish than expose themselves to the world of hospitals and physicians. Hospitals symbolize sickness. By choosing an "alternative" path they think they are choosing wellness and often they think they are choosing a "spiritual" path as well. Or, they may have taken the path of scientific medicine to an endpoint for them. The faith healer is their last hope. Finally, Christian Scientists form a unique and strange group, holding apparently contradictory notions about prayer and illness. On the one hand, Christian Scientists claim "that prayer has brought about recovery from anemia, arthritis, blood poisoning, corns, deafness, defective speech, multiple sclerosis, skin rashes, total body paralysis, visual difficulties, and various injuries" (Barrett). On the other hand, the founder of Christian Science Mary Baker Eddy (1821-1910) believed in the prayer of total submission to the will of an all-powerful, perfect god. She wrote: "God is not moved by the breath of praise to do more than he has already done, nor can the infinite do less than bestow all good, since he is unchanging wisdom and love. "* She believed that whatever happens does so only because a god wills it. In her Science and Health with Key to the Scriptures (1875) she wrote: "If the sick recover because they pray or are prayed for audibly only petitioners should get well." Christian Scientists are best known for not using medicine. They believe that illness is an illusion caused by faulty beliefs and that prayer heals by replacing false thoughts with spiritually true ones. "Christian Science practitioners work by trying to argue the sick thoughts out of the person's mind. Consultations can take place in person, by telephone, or even by mail. Individuals may also be able to attain correct beliefs by themselves through prayer or mental concentration" (Barrett). These consultations are not free but they are tax deductible! There has been about a 60% drop in the number of Christian Science practitioners and teachers over the past 25 years (Barrett). Membership dropped about 10% during the last decade of the twentieth century. *Table 69 There are about 1,800 Christian Scientist practitioners and teachers in the U.S. and about 1,000 churches. Also, there is evidence that their policy of not seeking medical attention has had some serious longevity consequences predictable by natural selection. See also acupuncture, alternative health practice, Ayurvedic medicine, chelation therapy, Deepak Chopra, Consegrity, DHEA, faith, Dr. Fritz, John of god, prayer, psychic surgery, Sicher-Targ report on distant healing, and "Blind Faith Healing: a paradigm for the hopeless" by R. T. Carroll. Butler, Kurt. (1992). A Consumer's Guide to "Alternative Medicine": A Close Look at Homeopathy, Acupuncture, Faith-Healing, and Other Unconventional Treatments. Prometheus Books. Fisher, G. Richard. (2002). The Confusing World of Benny Hinn. 9th Rev edition. Personal Freedom Outreach. Hines, Terence. (2003). Pseudoscience and the Paranormal. Prometheus Books. Mackay, Charles. (1995). Extraordinary Popular Delusions & the Madness of Crowds. Crown Publishing. Originally published in 1841. Free. Nickell, Joe. (1993). Looking For A Miracle: Weeping Icons, Relics, Stigmata, Visions and Healing Cures, Prometheus Books. Nolen William A. (1974). Healing: A Doctor in Search of a Miracle. Random House Inc.
Peters, Shawn Francis. 2008. When Prayer Fails: Faith Healing, Children, and the Law. Oxford University Press. review here. Randi, James. (1989). The Faith Healers (Buffalo, N.Y.: Prometheus Books. Rose, Louis. (1968). Faith Healing. Gollancz. House Approves Bill Targeting Faith Healers Oregon's House of Representatives has passed a bill that would remove legal protections for parents who rely on faith healing to care for their sick children. Oregon lawmakers appear ready to end legal protections for faith-healing parents Rep. Carolyn Tomei said deaths of three Followers of Christ children in recent years – all without medical intervention – prompted her to introduce the bill. "Such gross and unnecessary neglect cannot be allowed, even if the parents are well-meaning," Tomei said. Nigerian church ordered to stop faith healing ads South Africa’s advertising authority on Thursday ordered a Nigerian church to stop making claims on national television that it can treat diseases such AIDS through faith healing. Faith healing in the USA "How do we seek out religiously inspired child abuse? Does this existence of this child abuse and infanticide damn all religions for all time? Or is the idea of faith so resilient that it can survive some idiotic religious practitioners?" Clad entirely in black, his piercing eyes staring into apartments across the vast territory of the USSR, Kashpirovsky "treated" millions, his voice both reassuring and oddly threatening." --Doctors Behaving Badly: Faith Healer Finally Steps Outside Medical Board's Good Graces In 1996 Dr. Robbi Borjeson was five years out of medical school. The Arizona Medical Board ordered her to "continue psychological treatment with a Board-approved psychologist, to practice medicine only in a structured setting, and to submit to random biological fluid testing." She seems to have ignored all sane advice and in 2002 she was ordered to pay $1.5 million for treating a diabetic with prayer and vitamins. Her license was finally revoked on August 5, 2009. For a glimpse of what mentally unstable M.D.s might advocate, read her essay on alternative treatment for hepatitis C. Then read this account by someone she allegedly "helped." --Benny Hinn denied entrance into Britain Last November, Britain instituted new visitor rules "to combat extremism and prevent teachers of religious hate entering the country." Religious workers must obtain a valid certificate of sponsorship prior to arriving in the UK. Hinn didn't have one. Some Thoughts about Faith Healing by Stephen Barrett, M.D.